How can I download a copy of my Facebook data? What is included – and what isn’t? You will be prompted to confirm that you have requested the archive from your associated email account. This archive will typically contain a large amount of very sensitive personal information, including contact information, addresses, photos and private messages (see below). You should be careful to store it securely. I now have my Facebook archive. Where can I find the contact information it has stored about me? See the ‘contact info’ tab under ‘html’. If you have closely controlled your privacy settings, you won’t see much here. However, many people find comprehensive contact details from their phone and email accounts. Some even find extensive call and text logs, likely to arise from app permissions that have been granted. Why does my contacts list include people that are not on Facebook? When you first sign up to Facebook, you are asked to hand over your contact lists and address books so Facebook can “Find Friends” for you. When you choose to find friends on Facebook, we’ll use and securely store information about your contacts, including things like names and any nicknames; contact photo; phone numbers and other contact or related information you may have added like relation or profession; as well as data on your phone about those contacts. This helps Facebook make recommendation for you and others, and helps us provide a better service. You may have business or personal contacts in your phone. Please only send friend requests to people you know personally who would welcome the invite. However, there is no easy way to be selective if you allow Facebook to “find friends”. And so, despite having issued this warning, Facebook will proceed to do exactly what it advised against. All of your contacts that it can find are matched up with your profile to suggest “People you might know”. And until you download your archive, you won’t be able to see how far Facebook has reached into your network. This means that Facebook may be able to map your connections with anyone from a lawyer you’ve contacted, to your one-night stands, to your doctor. This kind of contact chaining across the platform can be a real problem for people working in sensitive professions. For example, it was reported that a psychiatrist’s two patients had been recommended to each other via the ‘People you might know’ function on Facebook. Why are messages I deleted in my archive? Private messages are retained until the sender – and all recipients – have deleted them. If you send a message to someone else, their copy will remain until they delete it, so that copy may appear in your archive. 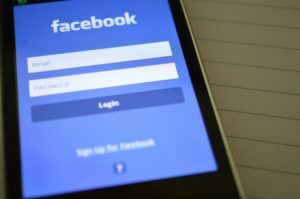 In any event, deleted messages may remain on Facebook’s servers for a period of time before they are deleted, and remain in Facebook’s backups for a longer period. What is in my archive? Your Facebook data includes information that is not available simply by logging into your account, like the ads you have clicked on, most of the IP addresses you have ever logged in or out of Facebook from, and much more. What is in my archive? What is it? About Me Information you added to the About section of your Timeline like relationships, work, education, where you live and more. It includes any updates or changes you made in the past and what is currently in the About section of your Timeline. Account Status History The dates when your account was reactivated, deactivated, disabled or deleted. Active Sessions All stored active sessions, including date, time, device, IP address, machine cookie and browser information. Ads Clicked Dates, times and titles of ads clicked (limited retention period). Address Your current address or any past addresses you had on your account. Ad Topics A list of topics that you may be targeted against based on your stated likes, interests and other data you put in your Timeline. Alternate Name Any alternate names you have on your account (ex: a maiden name or a nickname). Apps All of the apps you have added. Birthday Visibility How your birthday appears on your Timeline. Chat A history of the conversations you’ve had on Facebook Chat (a complete history is available directly from your messages inbox). Check-ins The places you’ve checked into. Currency Your preferred currency on Facebook. If you use Facebook Payments, this will be used to display prices and charge your credit cards. Current City The city you added to the About section of your Timeline. Date of Birth The date you added to Birthday in the About section of your Timeline. Deleted Friends People you’ve removed as friends. Education Any information you added to Education field in the About section of your Timeline. Emails Email addresses added to your account (even those you may have removed). Events Events you’ve joined or been invited to. Facial Recognition Data A unique number based on a comparison of the photos you’re tagged in. Facebook uses this data to help others tag you in photos. Family Friends you’ve indicated are family members. Favorite Quotes Information you’ve added to the Favourite Quotes section of the About section of your Timeline. Followers A list of people who follow you. Friend Requests Pending sent and received friend requests. Friends A list of your friends. Gender The gender you added to the About section of your Timeline. Groups A list of groups you belong to on Facebook. Hidden from News Feed Any friends, apps or pages you’ve hidden from your News Feed. Hometown The place you added to hometown in the About section of your Timeline. IP Addresses A list of IP addresses where you’ve logged into your Facebook account. Locale The language you’ve selected to use Facebook in. Logins IP address, date and time associated with logins to your Facebook account. Logouts IP address, date and time associated with logouts from your Facebook account. Messages Messages you’ve sent and received on Facebook. Name The name on your Facebook account. Name Changes Any changes you’ve made to the original name you used when you signed up for Facebook. Networks Networks (affiliations with schools or workplaces) that you belong to on Facebook. Notification Settings A list of all your notification preferences and whether you have email and text enabled or disabled for each. Pages You Admin A list of pages you admin. Pending Friend Requests Pending sent and received friend requests. Phone Numbers Mobile phone numbers you’ve added to your account, including verified mobile numbers you’ve added for security purposes. Photos Photos you’ve uploaded to your account. Photos Metadata Any metadata that is transmitted with your uploaded photos. Physical Tokens Badges you’ve added to your account. Pokes A list of who’s poked you and who you’ve poked. Poke content from our mobile poke app is not included because it’s only available for a brief period of time. Political Views Any information you added to Political Views in the About section of Timeline. Posts by You Anything you posted to your own Timeline, like photos, videos and status updates. Posts by Others Anything posted to your Timeline by someone else, like wall posts or links shared on your Timeline by friends. Privacy Settings Your privacy settings. Recent Activities Actions you’ve taken and interactions you’ve recently had. Registration Date The date you joined Facebook. Religious Views The current information you added to Religious Views in the About section of your Timeline. Removed Friends People you’ve removed as friends. Screen Names The screen names you’ve added to your account, and the service they’re associated with. You can also see if they’re hidden or visible on your account. Spoken Languages The languages you added to Spoken Languages in the About section of your Timeline. Status Updates Any status updates you’ve posted. Work Any current information you’ve added to Work in the About section of your Timeline. Vanity URL Your Facebook URL (ex: username or vanity for your account). Videos Videos you’ve posted to your Timeline. Is my information from Facebook-owned platforms (e.g. Instagram and WhatsApp) shared with Facebook? Yes – although this information will not be accessible to you in your Facebook data archive. The company calls this “cross-platform collaboration” which involves unidentified “limited data” being centralised from across the “whole family” of platforms. I don’t have a Facebook account – does Facebook have data about me? Probably – see “Why does my contacts list include people that are not on Facebook?” above. If you don’t have a Facebook account, you can still make a data access request. Why does Facebook collect all this data? Facebook is a for-profit global surveillance machine that exploits data for commercial and marketing processes. It is essentially an international intelligence database that has 2.2bn active profiles – that’s the majority of the internet-connected world. As we have seen in recent news, when personal information and deep analysis of each of us is made available to the highest bidder – ranging from political leanings to our sexuality to our psychological traits – the platform poses a risk not only to individual rights, but to democracies at large. Whether to use Facebook or not is a personal choice, but we believe it should be an informed choice. By downloading your Facebook data, you can see a snapshot – but not the whole amount – of private information Facebook has about you. To find out more, read our article: Cambridge Analytica is a Symptom of the Bigger Facebook Problem.